Charms are a great way to add just a bit more personality to your garters. 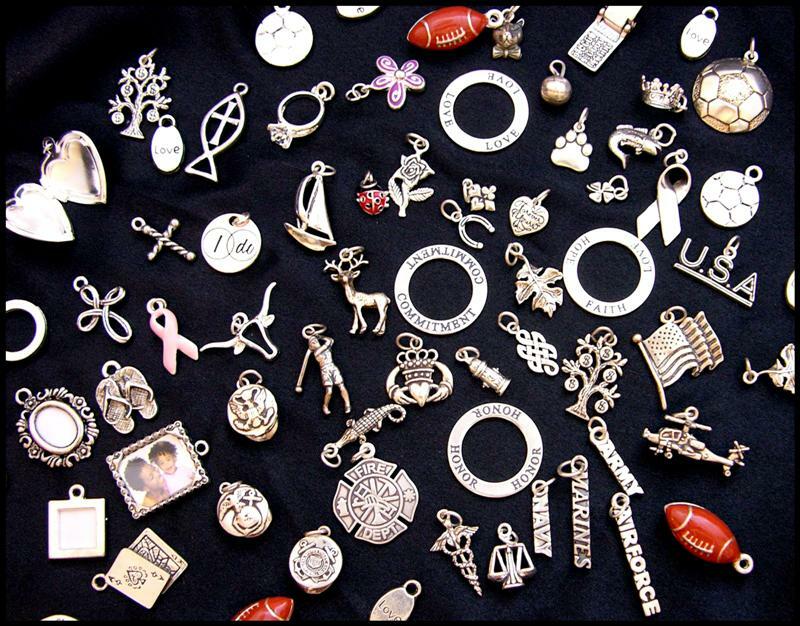 We now have an assortment of charms on hand, and can get just about anything for you. You are not limiited to what you see above! If you are concerned about being able to find a certain type, email us before you order, and we can check on the availability of it. Most charms shown above are silver, however some are not. If you are concerned about a charm above being sterling silver, please email before ordering. If you do place an order for a charm that we are unable to locate, we can look at second options for you. We may be able to find something else that may work, or find a charm that would be an additional charge. If the type of charm you choose is more expensive than is typical, we will contact you with options as well. When we order charms, we first look for sterling silver, but they are not always available. A non-sterling charm is a last choice. Due to copyright laws, we can not sell any type of sport team charms--NFL, NCAA, Nascar, MLB, etc-anything that has a copyright. Nor can we do characters that are copyrighted (i.e., Disney, Warner Brothers, etc). We can, however, add a charm that you purchase and send to us.